In a new Commentary in Plant Physiology, Friesner et al. write a compelling vision for next-generation training for plant scientists. We asked three of the 39 authors, Joanna Friesner, Molly Megrew and Siobhan Brady, to tell us about their motivations and goals for writing this commentary. You and several other authors (see the full list here) have written a commentary calling for “an overhaul in training” for plant biologists. Can you elaborate on why this overhaul is needed and the desired outcomes? Siobhan: As mentors and as active members of the Arabidopsis and plant biology research communities, we have experienced incredible changes in biological sciences in terms of massive production of data and new and different skills needed to analyze these data and draw novel biological conclusions. 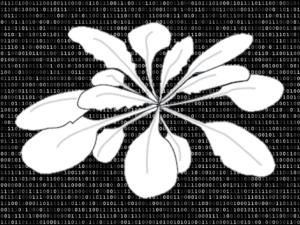 While some institutions have started to develop quantitative or computational programs, there aren’t necessarily programs that address biological questions posed by plant biologists. Furthermore, we need to train our own students or postdoctoral fellows in ways that will allow them to be active and vibrant researchers in this next generation of science. You advocate change across all levels, from undergraduate education to post-doctoral and faculty training. Can you give an example of an approach or strategy you’re particularly enthusiastic about? Siobhan: The ideas proposed by Bialek and Botstein (2004) are quite transformative as they implement the changes right at the stage of undergraduate education. Here, they propose dropping prerequisite courses in math, physics, chemistry and computation and instead introducing them in context with real biological problems. They propose that the courses would be more interesting to students and might be more interesting to teach for lecturers. Molly: Integrated courses such as math, physics, chemistry, and computing that introduce these topics in context with real biological problems are absolutely ideal. This would truly transform a curriculum in biology by providing the same level of engagement with foundational topics that physics and engineering programs have long offered. This has been part of the recipe for student success in these fields dating back decades and (in the case of physics) centuries. However, these offerings are very strongly connected to overcoming the significant logistical challenges discussed below. These challenges are multiplied many times when scarcity of resources is already an education-threatening issue for traditional programs, as is broadly the case now at many public institutions and particularly the case for many plant science programs across the U.S.
You also refer to the significant logistical challenges that lie ahead of curricular changes. What are some of these challenges, and how can they be overcome? Siobhan: Money is a big one! Overhauling training is expensive and requires money to develop and implement curricula within existing programs. Institutional adoption is another one – this type of overhaul would require rethinking and reworking of existing, well-running programs. This would take a huge amount of time and effort. Finally – having faculty who can converse and push ideas forward that are parts of distinct fields (like physics, math and plant biology) can be challenging. Joanna: Significant challenges are posed by our academic institutions in that they are, for the most part, established in departments, colleges, and organizational units that don’t tend to promote collaborative curriculum. This is compounded by financial constraints, such as budget models that allocate dollars on a per student basis, to the department whose faculty member teaches the course. This disincentivizes collaborative, inter-disciplinary, inter-departmental courses and those that involve a relatively smaller number of students than large “service” courses. Unfortunately, lack of resources and the merit and promotion system can work together to discourage adoption of innovative, hands-on, or exploratory courses that integrate disciplines. It may be that in the near-term, specific institutions that attract external funding, such as from philanthropic or industry sources, may be the first to innovate in this sphere. Ideally, public funding sources, including NSF, NIH, DOE, and others will develop funding schemes to fund efforts to transform science education to meet current and future needs. One approaches that Universities could take now includes reducing or eliminating the institutional barriers to inter-college or inter-departmental curriculum development and implementation. Examples of institutional barriers includes the difficulty in setting up financial agreements between departments to teach an integrated course so that each department is satisfied that it is receiving appropriate compensation. This can come down to disagreements about what to even name the course if multiple departments are lobbying for the dollars that follow. Another barrier is the lack of streamlined process for inter-college or inter-department courses or majors which requires that a new major or course must be submitted to multiple colleges or departments, reviewed, critiqued, voted on, accepted or denied, all by parallel sets of committees, faculty, deans, etc. Of utmost importance is a top-down review of financial models to enable integrated curriculum approaches and smaller hands-on learning courses without disadvantaging faculty in the merit and promotion process. Another approach Universities could consider is to leverage alternative teaching and educational staff and faculty. For example, they could develop positions and recruit faculty that have creative course development, assessment, or implementation written specifically into their job descriptions. In some instances these may be non-tenure track lecturer or even staff positions, but the focus is on teaching, and curriculum development and assessment. Is there a trade-off involved? Do training programs need to eliminate some subject matter or skills in order to provide training in scripting languages, network analysis and statistical methods? Siobhan: Absolutely – it is impossible, at-scale to teach students at such depth all of the basic sciences plus courses needed for specialization plus courses focused in the quantitative sciences. You also talk about attracting data scientists to plant biology. How can we as a community do a better job of demonstrating the value and excitement of plant science research to these important partners? Siobhan: I think use of social media, of media in general and communication of our science with the public and with industry is integral. Molly: In addition to the expansion of our communication as Siobhan points out, I feel that we could place more emphasis on the breadth of life-changing scientific advances connected to plant science. Plants provide an opportunity for sustainable solutions to so many of our present challenges—environmentally friendly high-tech materials from packaging to plastics (yes, plastics! See “The promise of plastics from plants” just out: http://science.sciencemag.org/content/358/6365/868.full), solutions to address ecological problems with air, soil, and water toxicity—plants even provide the basis for over 50% of our currently used pharmaceuticals. There are just so many incredible opportunities to be seized, all starting with foundations in plant science, that are typically not in the public discourse. Finally, you describe the importance of interdisciplinary research collaborations and the need to train scientists to initiate, manage and maintain effective collaborations. Isn’t this somewhat antithetical to the standard model for academic research, in which first-authorship is the metric for success? If so, how can we integrate the strategies needed for addressing big biological questions and the current ways we evaluate success? Siobhan: This is the aspect of the commentary which I am the most excited about. Collaboration is really an art, and we need to train students and faculty on how to best collaborate. But we also need to evaluate our systems for assessing merit and progress and we provide several concrete solutions as to how to do this in the commentary. 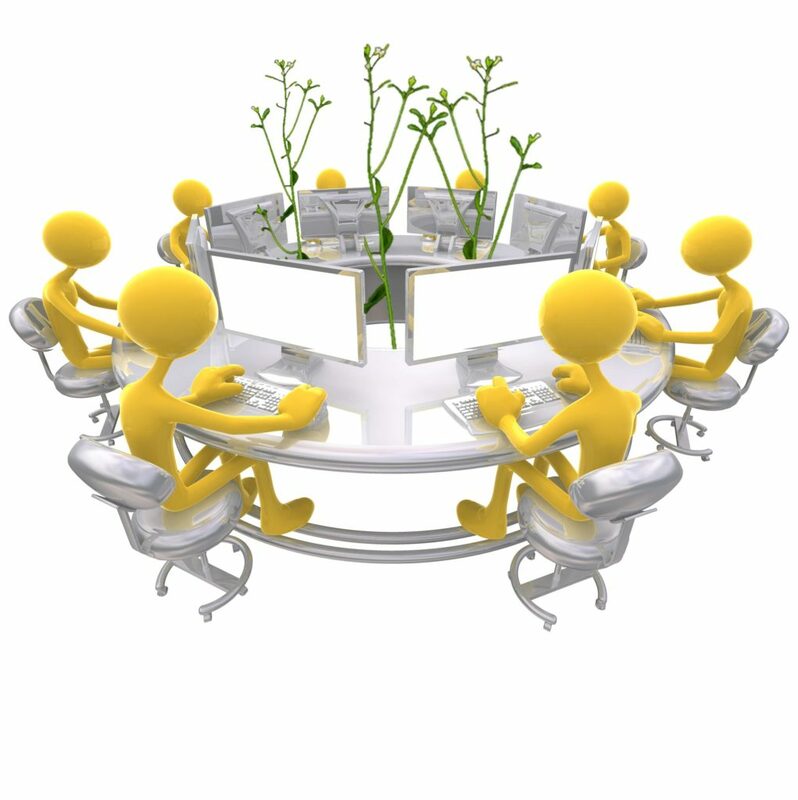 Join the discussion on Plantae: Are you implementing the changes in your training program? If so, what advice can you share with others? If not, what is stopping you, and how do you plan to overcome these obstacles? Tell us more!